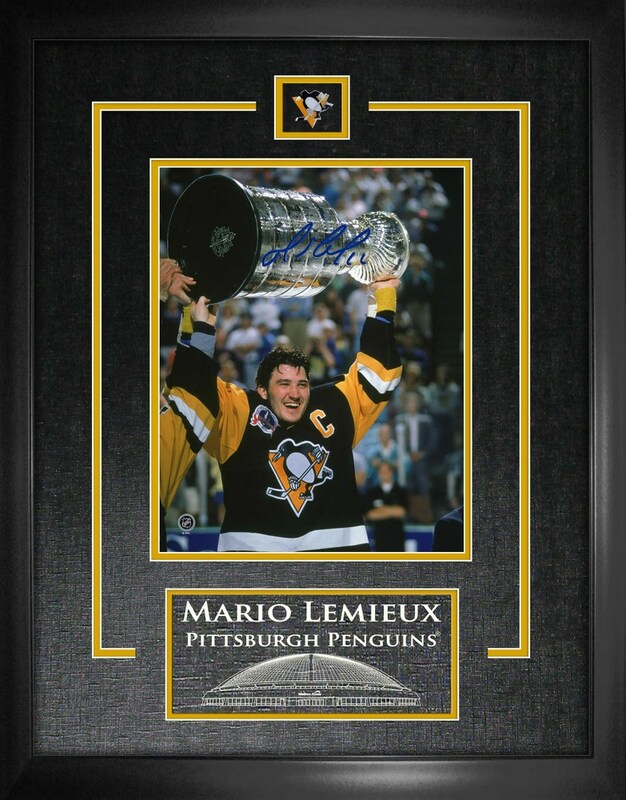 This Mario Lemieux autographed 8x10" photo has been professionally framed in Frameworth's renowed framing style. This action image is set in Frameworth's black framing with onyx matting, a laser etching of the player name and team, and an officially licensed NHL team collector pin. A Frameworth Hologram and Certificate of Authenticity are both included. FINISHED SIZE 18x22"